This is a great entry level POS receipt printer by Epson. It is a cost effective printer and comes included with a USB cable and power supply. The USB and Serial pos interfaces, are built in. 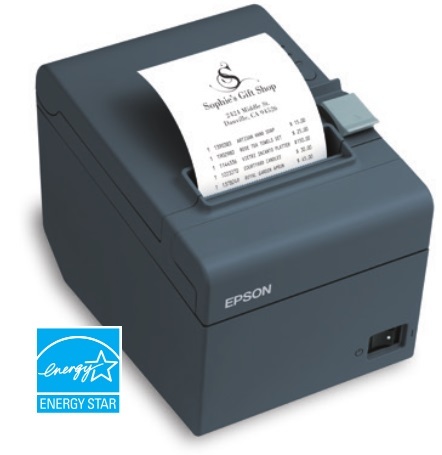 Epson’s cost-effective, energy-efficient TM-T20II thermal Point-of-Sale (POS) printer is ideal for low-volume retailers, food service and virtual terminal applications. It offers fast receipts and coupon printing, high reliability and easy-to-use features. In addition, it has paper-saving options that can reduce paper usage by up to 30%. This entry was posted in New POS Products by Jim Walker. Bookmark the permalink.